Latest Update – APPSC AEE Exam Postponed. Go through the below table and check the APPSC AEE Mains Exam Dates. APPSC AEE Recruitment 2018 Apply Online Last Date 24/12/2018. APPSC AEE Exam Dates 01st & 02nd April 2019. 29th & 30th April 2019. Candidates who are eagerly waiting for Teaching Jobs can utilize this ఆంధ్రప్రదేశ్ అసిస్టెంట్ ఎగ్జిక్యూటివ్ ఇంజనీర్ opportunity & apply for APPSC AEE Vacancy 2018. Candidates who possess a Bachelor’s degree in Civil, Electrical/ Agriculture are eligible to apply for APPSC Assistant Executive Engineer Jobs 2018. 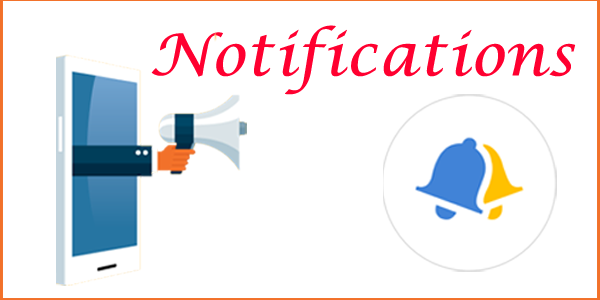 Further details about APPSC Assistant Executive Engineer Notification 2018 like No. of Vacancies, Age Limit, Qualification, Selection Criteria, How to Apply, Important Dates, Links, etc. Total No. of Vacant Posts: 309 Vacancies. The important parameters candidates have to possess in order to apply for APPSC AEE Recruitment 2018-19 are as follows. As per official APPSC AEE Notification 2018 Pdf, upper age relaxation is applicable to the reserved candidates. Candidates must possess Graduation Degree in the related field from any Recognized University/ Institute to apply for APPSC Assistant Executive Engineer Vacancy 2018. Get further info regarding APPSC AEE Notification 2018 Pdf like Application Process, Fee, Mode of Selection, Pay Scale, Important Dates, Links, etc. For General/ OBC Category: Rs.250/- + Rs.120/-. For SC/ ST Category: Rs. 250/-. Selected candidates for APPSC Assistant Executive Engineer Vacancies 2018 will get a good pay scale of Rs. 37,100/- to Rs. 91,450/-. The APPSC Recruitment 2018-19 Application Process starts as soon as possible after the release of official notification. Get the step by step procedure to fill Andhra Pradesh PSC AEE Recruitment 2018 Application Form from the following sections. Find the relevant tab “APPSC AEE Notification 2018 Pdf” on the homepage. Go through the details provided in the official APPSC Assistant Executive Engineer Notification 2018 Pdf. Ensure the eligibility for APPSC Jobs 2018. If eligible, then click on “APPSC AEE Recruitment 2018-19 Apply Online” tab. Enter all the necessary details in the APPSC Assistant Executive Engineer Recruitment 2018 Application Form. Cross-verify all the details once before submitting the APPSC Recruitment 2018 Application Form. At last, keep the hard copy of the APPSC AEE Application form 2018 for future reference. The details covered in this article about Andhra Pradesh PSC Assistant Executive Engineer Recruitment 2018 Notification is only to refer. In case, if you have any queries, refer the official APPSC AEE Notification 2018 Pdf through the direct link provided below. Keep in touch with our page Naukri Samachar for more job opportunities. Sir, i’m from telangana state can i apply for this job..?? Sir i applied for AEE Civil department. I was mentioned only 3 Posts in civil i want to apply 4more post names, so I am waiting for editing process tell me expected date to edit sir.